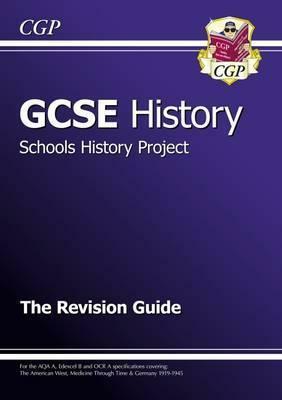 This GCSE History book is full of clear revision notes and practice questions for the Schools History Project. It covers 'The American West', 'Medicine Through Time' and 'Germany 1919-1945' for the AQA A, Edexcel B and OCR A exams. It makes revision straightforward - each section is split into a topic per page, with questions to check what you've learnt at the end. There's also a section of exam advice to help you improve your grades.